The Nintendo Switch system launches on March 3, and people can expect an exciting lineup of games on Nintendo eShop for day one and beyond. Nintendo has been working closely with independent publishers and developers to deliver a steady flow of unique and original experiences to Nintendo eShop. More than 60 quality indie games are confirmed for Nintendo Switch this year alone, and many games take advantage of unique Nintendo Switch features, including multiple play modes (TV mode, handheld mode, tabletop mode), flexible control options, local and online multiplayer* and innovative JoyCon functionality like HD rumble. In a Nindies Showcase video, Nintendo highlighted some of these games that are in development. Runner3 from Choice Provisions: Runner3 continues the joyous adventures of CommanderVideo from BIT.TRIP RUNNER and Runner2. Players will encounter quests, branching paths, item shops, new Retro Challenges, new character moves, new dance moves and a roster of characters that somehow manages to rival the strangeness of Runner2. The game is scheduled to launch exclusively for Nintendo Switch this fall. SteamWorld Dig 2 from Image & Form Games: In the sequel to the award-winning original you must dig deep, gain riches and explore an underworld riddled with danger. The game is scheduled to launch this summer. Yooka Laylee from Team 17 and Playtonic Games: Explore huge, beautiful worlds, meet an unforgettable cast of characters and horde a vault-load of shiny collectibles as buddy-duo Yooka (the green one) and Laylee (the wisecracking bat with the big nose). The buddy-duo platformer is coming to Nintendo Switch soon, with multiplayer functionality perfect for the system. Blaster Master Zero from Inti Creates: The same elements that made the original Blaster Master a hit are back, including side-scrolling vehicular combat, top-down adventuring and a huge sci-fi landscape, in addition to a host of new and improved gameplay systems. The game includes a two-player mode and will have numerous character cameos coming soon. Blaster Master Zero launches exclusively on both Nintendo Switch and the Nintendo 3DS family systems on March 9. Pocket Rumble from Chucklefish Games and Cardboard Robot Games: This deep 2D fighter makes players want to throw down, anywhere, anytime. The battles get even more intense with the inclusion of HD rumble: When players get hit by a weak attack, it’ll feel very different from getting rocked by a strong one. The game is scheduled to launch as a console exclusive for Nintendo Switch in March. Flipping Death from Zoink Games: Welcome to Flatwood Peaks, a small whimsical town with a problem – Death is on vacation. Play as Penny and help the ghosts with their peculiar problems on The Otherside. This puzzling adventure game is scheduled to come to Nintendo Switch later this year. Mr. Shifty from tinyBuild and Team Shifty: Shift through bullets, and master lightning-fast takedowns in a new kind of action game. Mr. Shifty follows a teleportation-fueled heist to break into the world’s most secure facility. Shift through walls, through bullets, cover huge distances and be everywhere at once. One shot kills. Survive on skills. 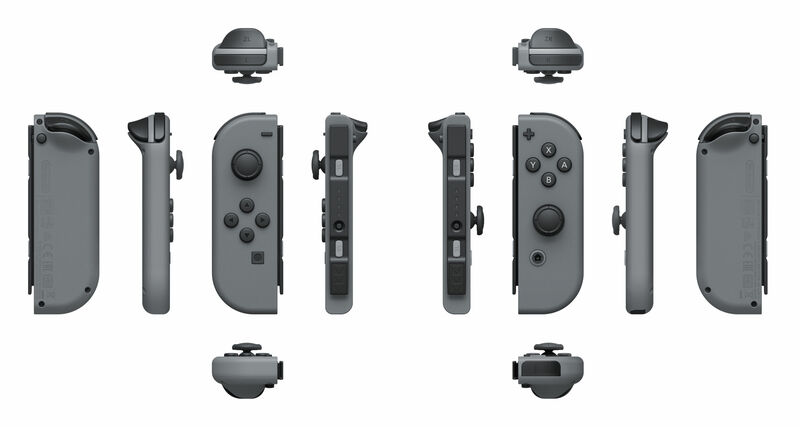 HD rumble allows players to feel every punch, shot and crash. The game is scheduled to launch first on Nintendo Switch this April. Wargroove from Chucklefish Games: This turn-based strategy game offers local and online matches for one to four players. The game is scheduled to launch later this year. Stardew Valley from Chucklefish Games and ConcernedApe: Nintendo Switch will be the first console to support the game’s new multiplayer feature. The open-ended, country-life RPG is scheduled to launch this summer. Shakedown Hawaii from vBlank: This 16-bit spiritual successor to Retro City Rampage aims to be twice as good with twice the bits. From the boardroom to the streets, Shakedown Hawaii parodies big business and the white collar crimes that go alongside. Build your empire, monopolize the markets and collaterally re-zone the island’s destructible sandbox. It’s scheduled to launch first on Nintendo Switch this April. Graceful Explosion Machine from Vertex Pop: Skillfully pilot the advanced Graceful Explosion Machine (GEM) fighter while blasting swarms of crystalline enemies with your ludicrously overpowered quad-weapon array. This side-scrolling arcade shooter features HD rumble support, which means players will really be able to feel those machines explode. The game is scheduled to launch first on Nintendo Switch this April. Tumbleseed from aeiowu: A small seed heads up a mountain to save his home in this physics-based game. More than 30 unique upgrades help the seed overcome challenges and enemies. HD rumble means players will feel seeds traversing across the screen. The game is scheduled to launch on Nintendo Switch this spring. Overcooked: Special Edition from Team 17 and Ghost Town Games: In Overcooked, players must journey through a variety of cruel and unusual kitchens on their quest to become master chefs capable of conquering an ancient edible evil which plagues the land. Play solo or engage in classic, chaotic couch co-op for up to four players in both co-operative and competitive challenge modes. The special edition features the original game, plus all of the DLC. HD rumble integration means they can feel every chop through a tomato and the slosh of soup in a pot. Overcooked: Special Edition is coming later this year. The Escapists 2 from Team 17 and Mouldy Toof: The sequel to the hugely popular prison escape series supports drop-in/drop-out co-op for up to four players (additional accessories are required for multiplayer modes, and are sold separately). Players can tie together knotted sheets and use them to climb down high windows in new multi-level prisons, and find other new ways to make a break for freedom. The Escapists 2 is coming later this year. GoNNER from Raw Fury and Art in Heart: GoNNER is a tough-as-hell, score-based, procedurally generated platformer with roguelike elements. GoNNER is also a story about friendship between Ikk, Death and a space whale named Sally. You will die. A lot. The console version of the game launches first on Nintendo Switch with additional content tailor-made for the system later this year. Kingdom: Two Crowns from Raw Fury and Noio: In Kingdom: Two Crowns, attend to your domain, border to border, or venture into the wild to discover its wonders and threats. First revealed today, two players can come together in co-op mode to rule a kingdom. Their choices bring hope or despair to their subjects. The game is scheduled to launch later this year. Dandara from Raw Fury and Long Hat House: Dandara has awoken to reshape the world. In this strange world of quirky characters, nothing is at it seems. In this bizarre, gravity-bending world with hidden beauty, it’s up to Dandara, jumping from surface to surface, to restore order and direct a directionless world. The game is scheduled to launch on Nintendo Switch this summer with exclusive features and functionality, including HD rumble support. * Online services require a Nintendo Account. Starting this fall, some online services will also require a paid subscription. Paid online service availability may be limited based on location. Update: Video removed due to copyright claim. Here is Nintendo’s official unboxing instead 🙂 The console was a stolen product and has been returned to Nintendo. The person who recorded the video was unaware of the stolen status of the Switch but still wound up losing not only the console but the money which they used to pay for the console. Beware of stolen consoles when buying your Nintendo Switch! Nintendo has just announced that they are continuing development of The Legend of Zelda: Breath of the Wild. They will be releasing the updates throughout 2017. The cost to download the upcoming content is $19.99 and will be available on the Nintendo Store on March 3rd alongside the release of the game. In addition to the upcoming content, you will also gain access to 3 in-game treasure chests. Read the below excerpt from Nintendo for more details. Starting when the game launches on March 3, players will be able to purchase an Expansion Pass for $19.99, granting access to two new sets of downloadable content for the game when they become available later this year. Immediately upon pre-purchase or purchase of the Expansion Pass, three new treasure chests will appear in the game’s Great Plateau area. One of these treasure chests will contain a shirt with a Nintendo Switch logo that Link can wear during his adventure, exclusive to the Expansion Pass. The other two will deliver useful items. Content Pack 1: The first content pack is scheduled to launch this summer, and will include the addition of a Cave of Trials challenge, a new hard mode and a new feature for the in-game map. Content Pack 2: The second content pack will launch in Holiday 2017, and adds new challenges that will let players enjoy a new dungeon and a new original story. The Expansion Pass will be available for both the Nintendo Switch and Wii U versions of the game and are identical. Content packs cannot be purchased individually. I’m sure you’ve noticed a lot of comparisons of the Nintendo Switch to the PS4, Xbox One, Project Scorpio and the rest of the lot. 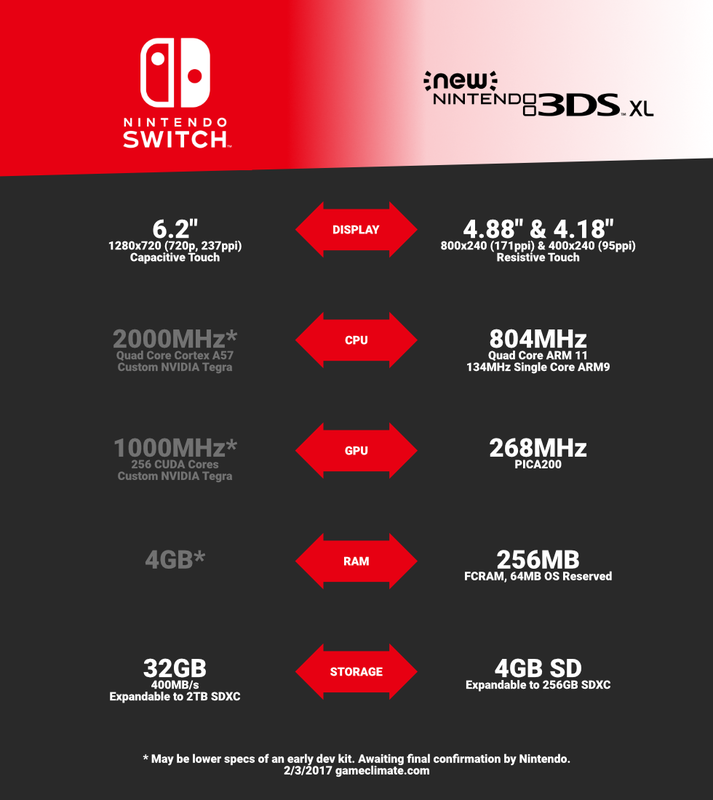 This is totally pointless due to the competition not being portable consoles so we thought why not take a look at how much more power the Nintendo Switch has vs the highly successful Nintendo 3DS. 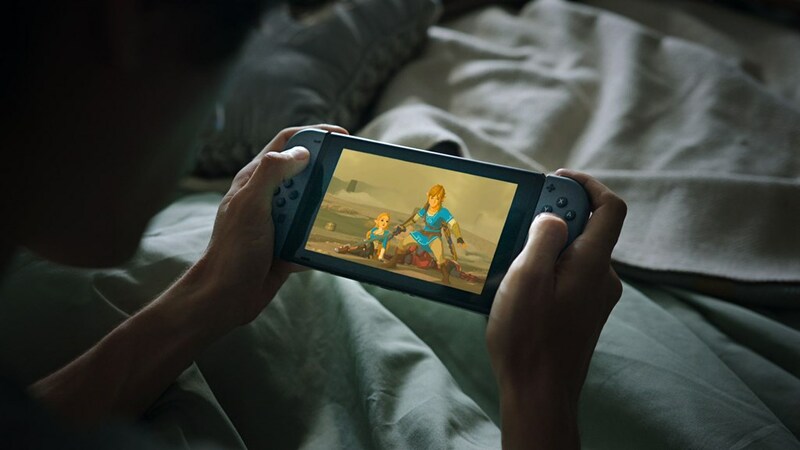 Check out Nintendo’s first super bowl commercial featuring the Nintendo Switch!